With FXX doing their EVERY EPISODE EVER marathon, I’ve been seeing a lot about The Simpsons lately. I started watching the show when I just a little older than Bart. Now, I’m just a little older than Homer. I actually gave up on the show a few years ago, but for many years it was one of my favorites. I’d rather keep the joy I get from those early years (and we’re talking more than a decade here) than have the show continually tarnished by lackluster episodes. I still catch it every so often, but the lack of regularity has softened the pain that it is no longer at the heights it once was. The heights were high though and because I love lists and reasons to critique things, I offer my favorite episodes of The Simpsons. 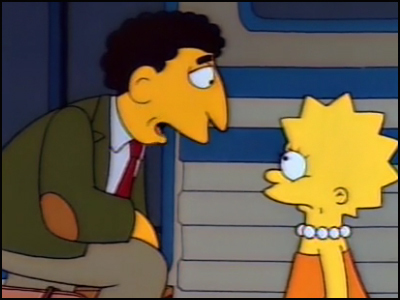 There were so many more I wanted to include – Lisa the Iconoclast, Bart’s Girlfriend, Mr. Plow – but the following are some of the best the show has to offer. The most recent episode on this list is also one of the best uses of a clip-show-packaging the show like a VH-1 Behind the Music special. The parody has outlived the show it was parodying, and the documentary style meta-jokes was one of the last signs of genius on this show. Best Moment: The pitch-perfect narrator: The dream was over. Coming up: Was the dream really over? Yes, it was. Or was it? The family road trips out of Springfield (“why did we have to transfer in Atlanta twice?”) to retrieve Homer’s car from New York. All the New York gags work –Bart’s visit to Mad Magazine, the musical Kickin’ It (“shh, they’re strapping down Liza Minnelli), Chinese fire drill, Homer’s desperate attempt to pee at the twin towers-and the show skewers the unique flavor of the city rather well. 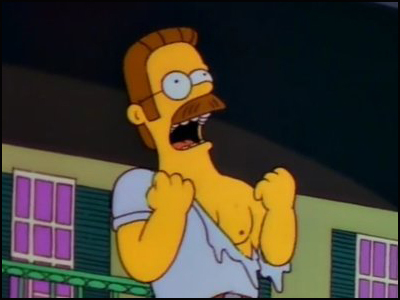 Best Moment: Homer vs. KhlauKalash. Marge gets the lead in the musical version of “A Streetcar Named Desire” bringing up her issues with Homer. 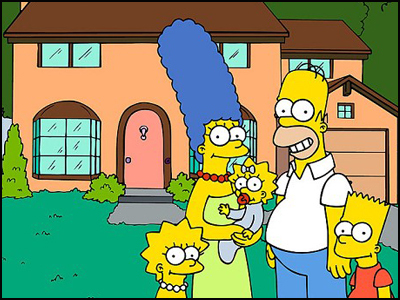 By the beginning of the fourth season, the Simpsons had started a peak quality streak that lasted for five years. Jon Lovitz does a great guest turn as Llewellyn Sinclair, the musical’s director. The parody is tight, there is an underlying sweetness to everything, and so many great lines and sight gags throughout. Solid B-story with Maggie’s pacifier project in the daycare. Best Moment: Homer’s The Birds-like journey through Maggie’s day care. 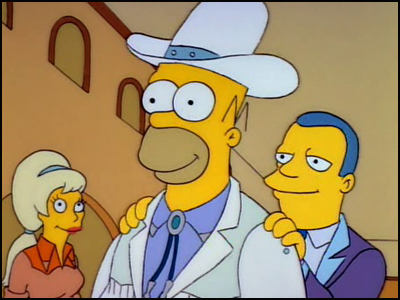 Homer becomes the manager for an aspiring country singer –Lurleen Lumpkin (wonderfully voiced by Beverly D’Angelo). The core of this show was always the family dynamics and none stronger than the marriage between Homer and Marge. 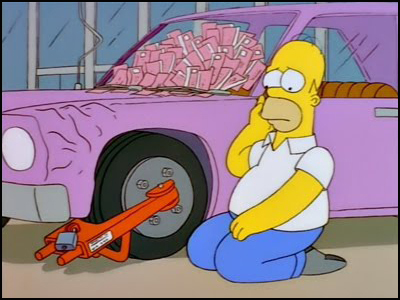 Testing the strength of this is Homer’s relationship with Lurleen which brings out Marge’s jealousy. Highlights are Lurleen’s songs which are well-crafted, catchy, and just the right balance of hilarious and heartfelt. Best Moment: The crying robots get me every time. 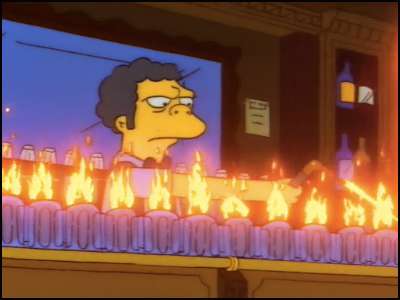 One of the first episodes to center on someone outside the main family – Flaming Moe’s has bartender Moe getting famous because of a drink he stole from Homer. Aerosmith concerts, a Phantom of the Opera parody, and life lessons abound. Best Moment: The Cheers song and gag. 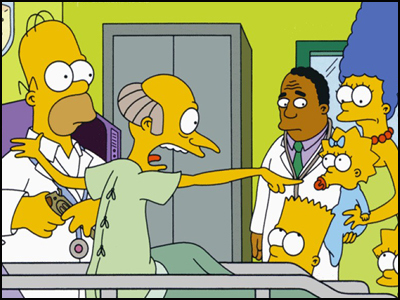 Split over two seasons, though best viewed as one, this parody of Dallas’ Who Shot JR has the entire town as suspects in the shooting of Mr. Burns (spoiler alert: it was Maggie). There are nods to Twin Peaks (Wiggum’s dream), the Fugitive (Homer’s Krusty Burger bailout) and Basic Instinct (Groundskeeper Willie and his kilt) and a random guest turn by Tito Puente, but the mystery is the highlight. 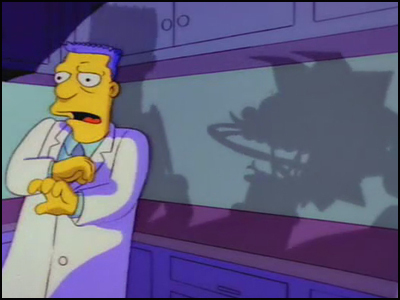 Best Moment: Moe and the lie detector test. A sort of Rosencrantz and Guildenstern are dead by way of James Bond villain. Homer moves the family to new town of Cypress Creek where he has accepted a job with the Globex Corporation. The head of Globex is Hank Scorpio, an affable guy who also happens to be using his doomsday device to take over the world. Albert Brooks shines as Scorpio, and Homer’s dilemma–balancing work success with an unhappy family—is one of the more realistic. Lisa develops a crush on her new substitute teacher, Mr. Bergstrom (an incognito Dustin Hoffman), while Bart runs for class president. It’s Lisa’s first foray into her familial black sheep status as Mr. Bergstrom represents everything she’s missing in her relationship with Homer. 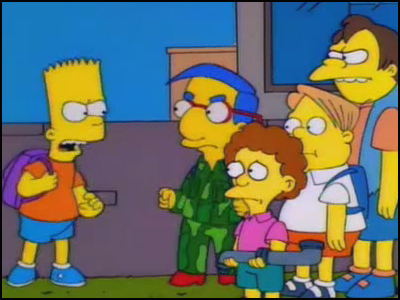 Despite his popularity, Bart loses the election when all of his fans forget to vote. The first episode I ever saw, and even my teenage self appreciated the Poe homage. I may not have gotten the Godfather reference at the time, but that’s the benefit of rewatching. 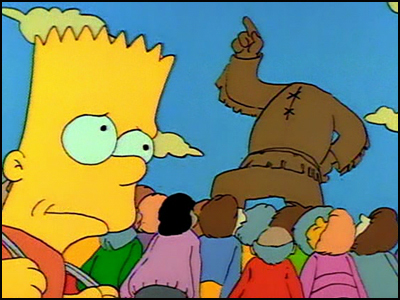 In an effort to impress the cool kids, Bart saws the head off of the statue of beloved town-founder Jebediah Springfield. Bart’s mischief leads to the first (of many) angry mobs from the town. Best Moment: The church’s stance on gambling. 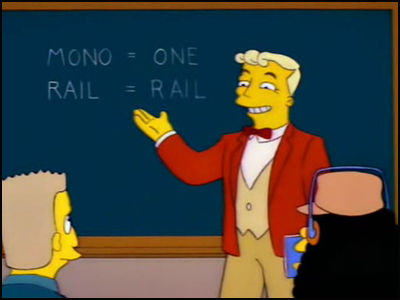 Fast-talking con man Lyle Lanley (another wondrous performance by Phil Hartman) convinces the town of Springfield to invest in a monorail (through song!). Homer becomes a monorail conductor and is left to save the day when the monorail flies out of control. A brilliant demonstration of Springfield’s ridiculousness as well as the mob mentality that rules the town. 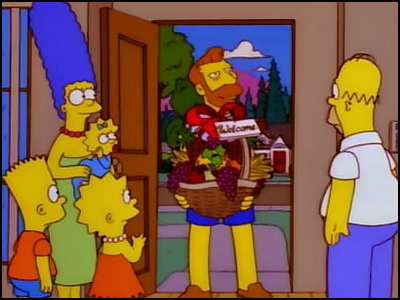 Best Moment: Homer’s intro to the tune of the Flinstones. Homer discovers the Stonecutters, a secret society in Springfield, and bullies his way in when he learns that Grampa is a member as well. Eventually, he becomes the leader of the group, and soon thereafter is responsible for its demise. Naturally. As funny as it is, the episode does a lot to delve into Homer’s character, explaining his lingering resentment from childhood at always being left out. It also does a lot to bring back my days in a fraternity (“Beer busts. Beer blast. Keggers. Stein hoists. AA meetings. Beer night. It’s wonderful, Marge.”). 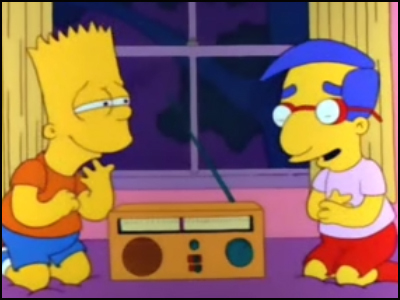 Best Moment: “We Do!” One of the best Simpsons songs, complete with alien references and Steve Guttenberg. It’s Bart’s birthday, and his favorite gift of a Superstar Celebrity microphone leads to him convincing the town he’s little Timmy O’Toole, trapped at the bottom of a well. Once again highlighting the town’s bandwagonesque tendencies, as well as Bart’s ability to lovably get into trouble and to gain the town’s sympathy in getting out of it. Is it still a parody if you haven’t seen the work being parodied? I eventually caught Thirty-Two Short Films about Glenn Gould, the documentary film on which this episode is based, but I loved it even before then. More than any other episode, this showcases the gift that is the townsfolk. From Cletus to Bumblebee Man, Snake to Professor Frink, everyone gets a moment in the spotlight. Best Moment: They pulled off a Pulp Fiction parody like no other. 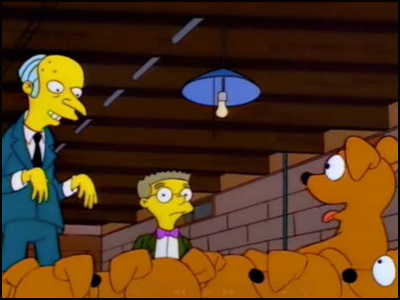 When Santa’s Little Helper fathers a litter of puppies, the Simpsons have to deal with a whole new crew of furry friends. When the puppies go missing, Bart and Lisa discover that Mr. Burns has stolen them and are shocked at his plans for them. There are a lot of Disney parodies here –101 Dalmations, Lady and the Tramp, Beauty and Beast all get sent up—but it’s the musical number that pushes this episode so high on the list. 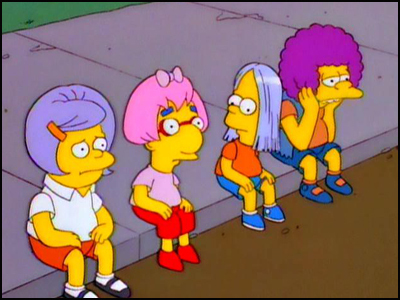 Go to Work with your Parents Day leads to some bonding moments with Homer and Lisa at the nuclear power plant, while Bart gets to spend the day with Patty and Selma at the DMV. After making himself a fake ID, Bart rents a car and hits the road with Milhouse, Nelson and Martin to Knoxville, Tennessee for spring break. The moments between Homer and Lisa are tender, tempered nicely with the raucous adventures of the boys. 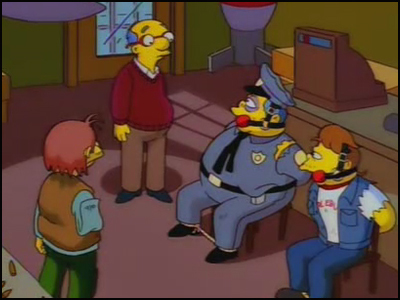 Best Moment: Homer’s destruction of the T-437 Safety Command Console in order to get a replacement. 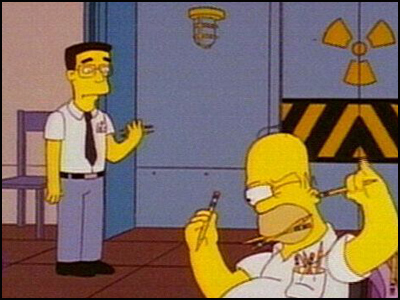 Self-made man Frank Grimes gets a job at the power plant and almost immediately Homer gets on his bad side. Homer’s motivation is actually quite innocent, he just wants the man to like him, but he’s also an oafish buffoon so everything comes off wrong. There are callbacks to previous episodes—Homer’s Grammy win, his trip to space, hanging out with Gerald Ford—that all serve to only make Grimes hatred stronger. It’s one of those plots that just can’t exist anywhere else: Springfield fathers and sons band together to rescue a stolen Springfieldian lemon tree from the clutches of some evil Shelbyvillains. There are some great bits –the cousin-marrying principal Shelbyville was founded on, Bart learning roman numerals (“Rocky V plus Rocky II equals Rocky VII, Adrian’s revenge!”), and the overall suggestion of Shelbyville as the anti-Springfield. 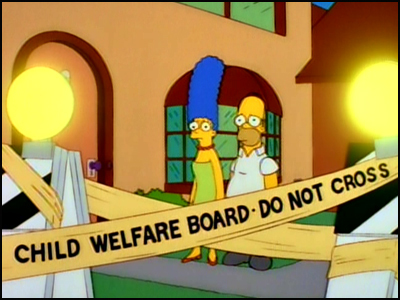 The Simpsons children are taken by social services and placed in foster care, at the Flanders. Surprisingly sweet—the kids miss the parents as much as the parents yearn for them—the show gets a lot of mileage out of the family dynamic. The same things that cause Marge and Homer to lose the kids in the first place are what make the family special in the first place. As Marge and Homer take a class to prove their worth as parents, Maggie slowly succumbs to the Flanders spell. Best Moment: Homer and Cletus in parenting class. Ah, young love, is there anything more heartbreaking. 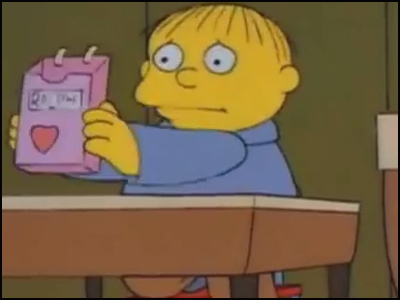 Lisa takes pity on a valentine-less Ralph Wiggum and her act of kindness is repaid by a too-attentive Ralph. After breaking his heart on live TV, Lisa and Ralph are paired together on the school play (thanks to some behind the scene machinations of the Chief of Police). Everything about the Valentine’s Day card exchange could’ve been taken from my grade school (thankfully, I wasn’t the one eating the crayons). Overall, I think Lisa is my favorite character and this heartfelt showcase for her demonstrates why. 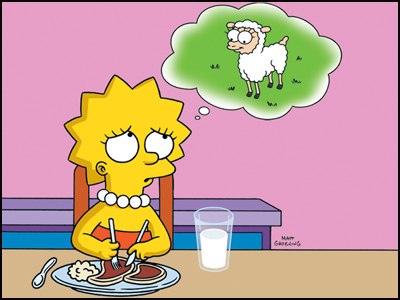 One of the first bits of continuity changes that actually stuck: Lisa becomes a vegetarian. After thwarting Homer’s BBBQ (the extra B is for BYOBB), Lisa learns, with the help of Apu and Paul and Linda McCartney, to temper her new values against her family’s baser instincts. More about Lisa’s place in the family than her new stance on meat, the episode has a sweet ending with Homer and Lisa (once again) coming to terms with their differences. Best Moment: Everything about the “Meat and You” educational video is gold. This episode has everything. An opening McBain flick. A flashback to Burns’ childhood. Another Godfather bit. The best Batman homage ever. Lisa’s Yellow Submarine-like trip under the gas. A thousand monkeys at a thousand typewriters. Lisa’s rallying song. A Dr. Seuss bit. And talk show mainstay Dr. Joyce Brothers (“I brought my own mic.”). 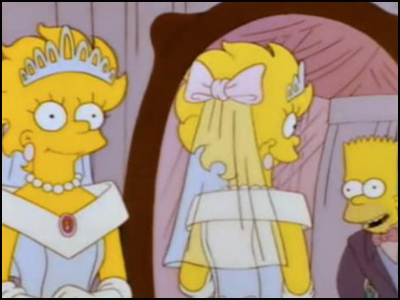 Homer becomes president of the union in order to save the dental plan since Lisa needs braces. 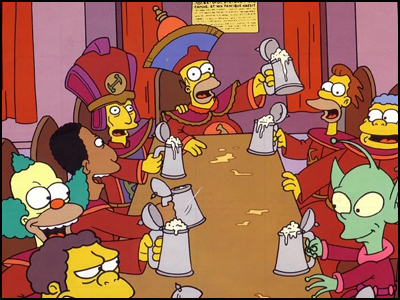 Burns’ continuing forgetfulness in regards to Homer gives Simpson a leg up in the negotiation, but Burns goes to great lengths to win, including cutting power to the town. Best Moment: “Dental plan! Lisa needs braces. Dental Plan! Lisa needs braces! Dental plan! 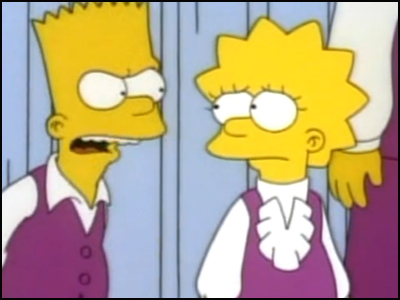 Lisa needs braces.” Ad infinitum. 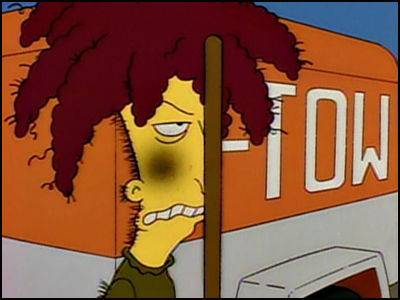 Best Moment: Sideshow Bob versus the rakes. Taking a quick joke too far and stretching beyond the bounds of television viewers’ attention spans. Okay, I’ll be honest here, there is a moment in this episode that when I first watched it I laughed so hard I actually peed my pants a little. That’s comedy, right there. After going to a Springfield Speedway event (Truckasauras! ), Bart is drawn to the life of danger. After meeting his daredevil hero in the hospital and getting his encouragement, Bart continues down this destructive path until Homer figures out a way to stop him –by risking his own life skateboarding over Springfield gorge. There are some great laugh-out-loud moments –adding a lion to the shark tank, for one, but nothing beats the comedy assault of the ending. 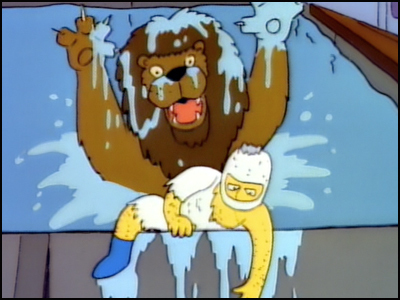 Best Moment: After Homer fails to make the leap, he tumbles all the way to the bottom of Springfield gorge. He is airlifted out of the gorge, complete with boulder head butts on the way up, he is rushed into an ambulance, that smashes into a tree two feet in front of it. Homer falls out the back and back down the gorge again. I can almost feel my pants get a little damp just thinking about it. Hands down, easily, my favorite episode of the show. There are more jokes packed into this twenty-two minutes than most shows have in a season. 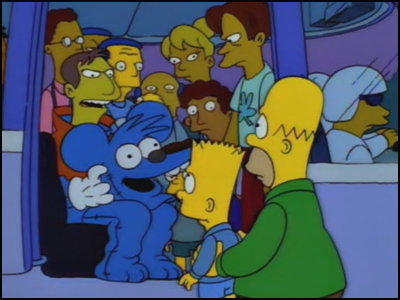 The Simpsons spend their summer vacation at Itchy and Scratchy Land (“the violentest place on earth!”) and, naturally, hilarity and chaos ensue. I could just write down all the throwaway lines (Homer on the bible: “Talk about a preachy book. Everybody is a sinner. Except for this guy.”) but there is a lot of mileage to the plot, from the kids convincing the parents to go, to the actual road trip, and then the time in the park when the robots run amok. The episode works at satirizing both Disney and Jurassic Park, as well as action movies in general. And the joke about John Travolta being out of work (this episode was pre-Pulp Fiction) is now back to being a valid reference. Lisa and Bart’s desensitization to violence. Maggie in the ball pit.